Should Comment Entry Forms Be Above or Below Existing Comments? Traditionally, blog themes have placed the form to leave a new comment below the listing of existing comments. This still holds true in most WordPress themes to date. However, many sites now have the comment form above the comments. 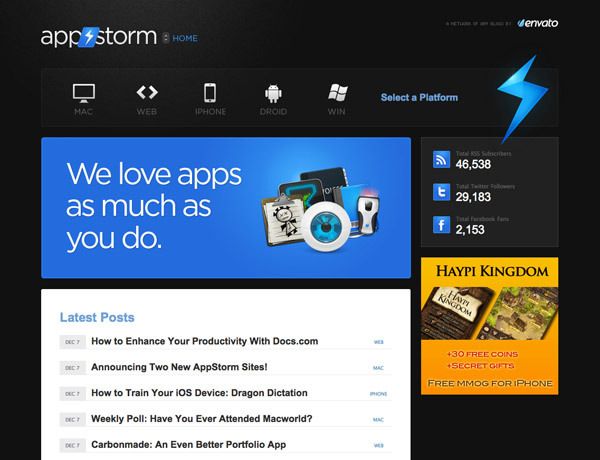 Notable sites include Mashable and Reddit. I was pondering the reasoning behind this recently. The obvious answer is that it encourages more comments, as someone who just finished the article is prompted to post while the content is still fresh in their mind. Meanwhile, having the form below the comments requires that a user read (or simply scroll past) others’ messages—perhaps even seeing like-minded comments and deciding against leaving one. Assuming this is true, you could promote a higher volume of comments by placing the form higher up, or on a higher traffic site, promote a higher quality of discussion by putting it toward the end. I assume someone has done tests, but I couldn’t find any publicly-posted results. A new service called Blogs.mu sprang-up recently. It’s kind of like “WordPress MU in a box.” With a very WordPress.com-like setup, you register to become your own blog provider. 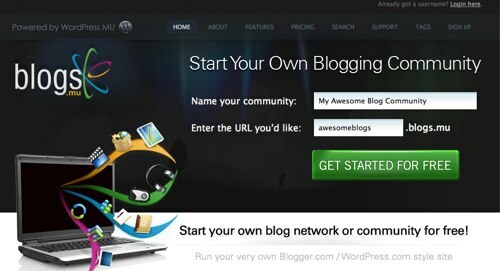 So you can setup a topical blog community. Automattic, the company backing the WordPress blog platform, recently purchased the hosted commenting system IntenseDebate. Like they did with Gravatar, they will likely make it ridiculously easy to make the service work with your WordPress blog, while keeping it open to other platforms. Gravatar had a big leap in usage after Automattic purchased the service, perhaps we’ll see a similar effect with IntenseDebate? If you create an account with IntenseDebate (totally optional when you comment on IntenseDebate-equipped blogs), you are given a profile that keeps track of your comments. This means that you can easily see where you’ve commented, allowing you to go back and read followup comments. Many new bloggers wonder why RSS subscribers are such as widely referred-to statistic, seeing as a lot of them don’t visit the actual site, but read the article in a feed reader, therefore robbing them of traffic and ad impressions, and reducing the likelyhood of commenting. Sometimes that idea pushes them to use partial feeds to force people to come to their website. Darren Rowse has come up with the best response I have seen so far. A subscriber that never visits is better than a one off visitor who never returns. I had one blogger recently tell me that he’d removed the option to subscribe to his blog via RSS from his blog because he didn’t want to ‘give away’ his content. He wanted people who read his content to ‘pay’ him by visiting his blog (and earning him money from his advertising) and he saw RSS subscribers as ‘freeloaders’. My response to him was that I’d rather have a subscriber who rarely visits my actual blog than a one off visitors who never returns because they have no way of keeping in touch. RSS subscribers are your most loyal readers. When they subscribe they see every single one of your posts (though they may skip reading one here or there if they’re pressed for time, or just not interested). They may visit your blog some days, if they want to leave a comment or browse your archives. The point is: If your blog is good enough your RSS subsscribers will visit the website now and then, and more frequently than most non-subscribers probably. They read your posts, and that’s the real point of blogging.